I am literally counting down the days to a project deadline at work when things finally settle down because this week has been so busy. Sadly that won’t be until next week with a finale of me working the weekend I’ll also be running a half marathon – good times! Good thing about being so busy is not having time to grocery shop and saving lots on money using up what I can in the house. And I was doing great at that until hubby texted me requesting I pick up a few items for when he gets home late. Well, I had little Whole Foods list going, so why not knock that out too? More natural hair dye, pricey organic rum for him, calcium supplement, pet treats, garden additions, dinner-to-go, etc. equaled $100 of damage! 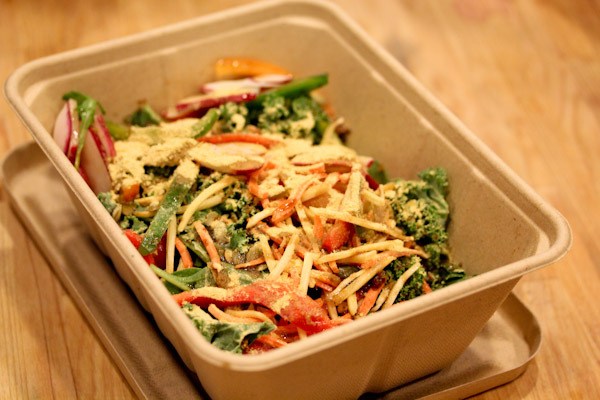 Never shop at Whole Foods with an empty stomach while being mentally fried from a busy week! 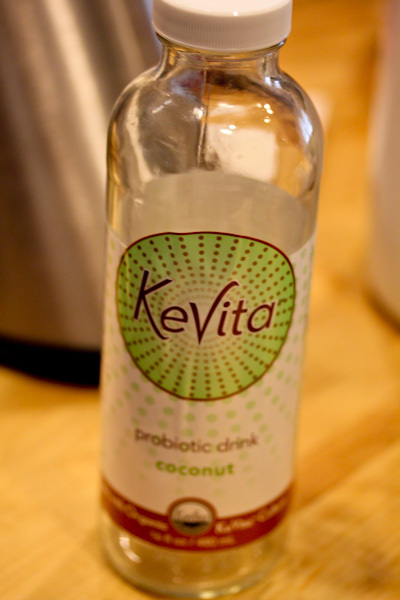 Anyway, splurge one was a little refreshing beverage for the drive home – KeVita Coconut Probiotic drink. It was on sale for $2. Why not, right? It’s one of my favorite probiotic drinks tasting like a mild creamy coconut yogurt with a slight sweetness. 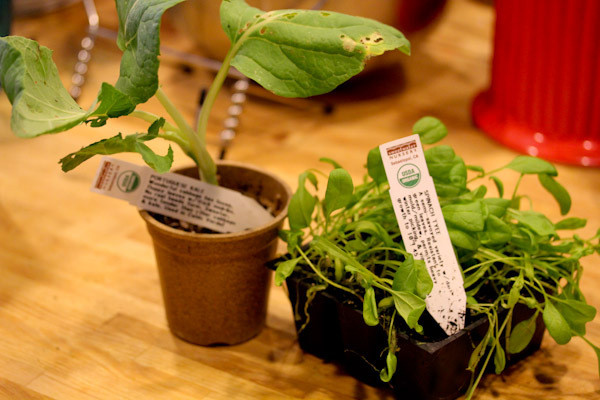 For splurge two I picked up more plants to add to our garden – organic spinach and something new – Portuguese Kale. Ever heard of it? It sounded great for smoothies, so I figured it’d be a great add for our winter crop. 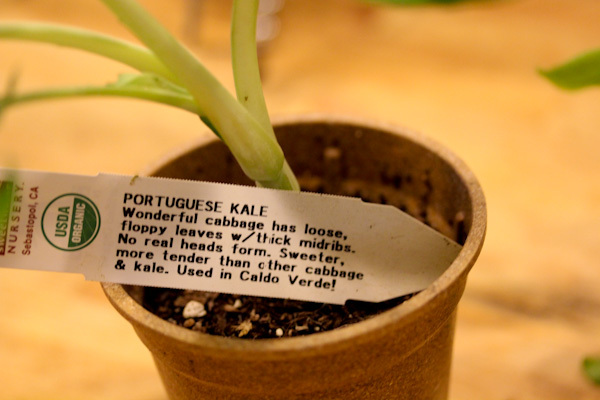 It seems to be part of the collard green family and a great source of vitamin A and C. But there’s not too much information on this variety, maybe it’ll make great wraps too – can’t wait to find out! 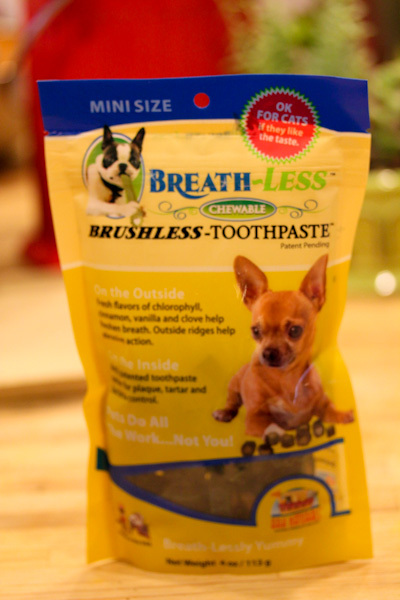 I also picked up more of Leela’s new favorite dog treats – Ark Naturals Breath-Less Brushless-Toothpaste. They’re not cheap at $5 a bag, but made in the USA and one of the few dried dog treats my picky chihuahua will actually eat. The bummer is they’re almost, but not quite vegan. So I’ll continue my search for a better vegan alternative. I’m thrilled she likes these since my last attempt to brush her teeth went over like a lead balloon! And I splurged on a fast dinner for myself, a huge spinach and kale loaded salad. That drink sounds tasty– I’ve never had it before! Ive seen the kevita but have never popped for it. Thanks for the info. And your dog and the teeth brushing…never met a dog who really ‘enjoyed’ it and small dogs seem to loathe it! Splurges = YOU DESERVE IT! I’m so happy you see light at the end of tunnel at work! I haven’t tried the Kevita but it sure sounds good! Those Kevita drinks are yummy. I saw they were on sale today at WFs but I resisted since all the flavors I like the most were sold out. I love those kevita drinks, they are great to settle your stomach too, I think. And you SO deserve a splurge or two after the month you’ve had! Does WF in California sell rum??? I know what you mean about going to Whole Foods hungry! I always end up spending more, and I can’t even walk down the aisles with the shampoo and bath salts or I’ll be spending even more. So true, I could spend hours browsing all the products at Whole Foods just having a blast.